Pet owners love their pets. Really love them. So they want to do the very best for their loyal companions, especially when it comes to the food they give them. 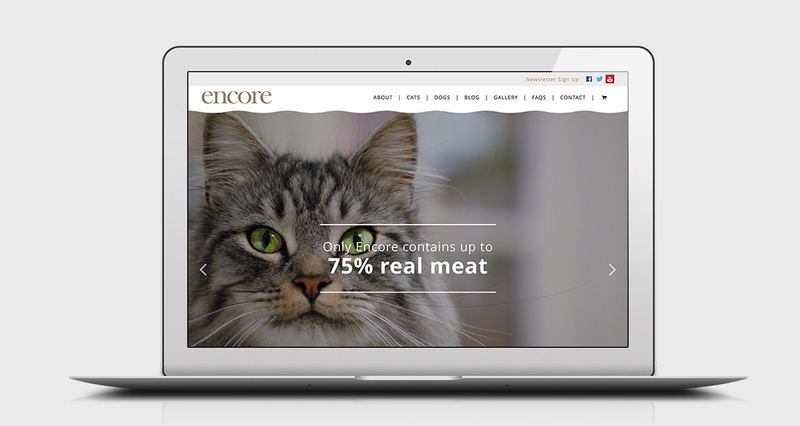 Encore is a completely different kind of cat and dog food – it contains 75% real meat. Other leading brands have less than 4% real meat, and lots of other far less appealing ingredients. This simple fact is a real surprise and source of concern for pet lovers. We brought this meaty fact to life in an engaging way, rooted in the world of cats. Our ‘surprised’ cats helped Encore to take a bigger bite out of the cat food market.